Our branch banner will be on the march - come and join us. On 26/27 April, junior doctors will be striking again to stop the government imposing an unsafe contract. Their struggle is part of a wider struggle to defend working conditions and public services. The streets of London were crammed last Saturday on the People’s Assembly demo, with protesters calling for ‘Dodgy Dave’ and the rest of the Tories to go. Next Tuesday and Wednesday, the Junior Doctors in the BMA take their next 48-hour strike against Jeremy Hunt’s imposition of his new contract. Their heroic dispute is at a pivotal stage. At its recent conference, the NUT teachers’ union passed a motion to ballot for strike action against forced academisation and link up with the Junior Doctors. In London on the evening of the first day of the strike next Tuesday, the BMA and NUT will be marching together - and now Unite and other unions will be there too. 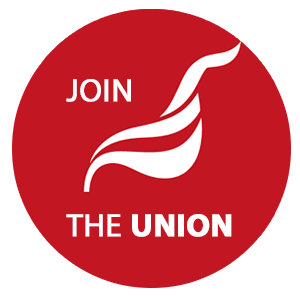 Click 'download' for Doctors in Unite leaflet. As a member of the BMA Junior Doctors Committee and rally organiser I write to invite all interested public, workers and fellow trade unionists to attend our London rally at the end of our strike action this coming Tuesday. Junior Doctors in England will be escalating their strike action to a full withdrawal of labour; and between 8am and 5pm on 28 April and Wednesday 29 of April. Other senior doctors and staff will continue to provide safe care to patients during this time. At 5pm on Tuesday 28th of April we will march from St Thomas’ Hospital, proceeding across Westminster Bridge to the Department of Health. We shall hold a mass rally at 6.00pm outside the Department of Health (opposite Downing Street). The NHS students of “Bursary of Bust” who have stuck with us through thick and thin, will be with us. We are specially hindered to be joined by the National Union of Teachers in calling this demonstration. Their solidarity for us will never be forgotten, and shall be reciprocated in kind. The Government is attempting to impose a contract on the medical profession which would effectively signal the destruction of safe terms and conditions throughout the NHS. The government is at this moment preparing to escalate its insidious attacks on the working conditions of teachers, health workers, and other public sector workers. It is clear that the government is intent on ripping apart the social fabric which binds this country together. We 50,000 Junior Doctors, and we 1 million NHS workers, will not let them get away with it. Let’s make this a historic moment. Please share this message to your networks.